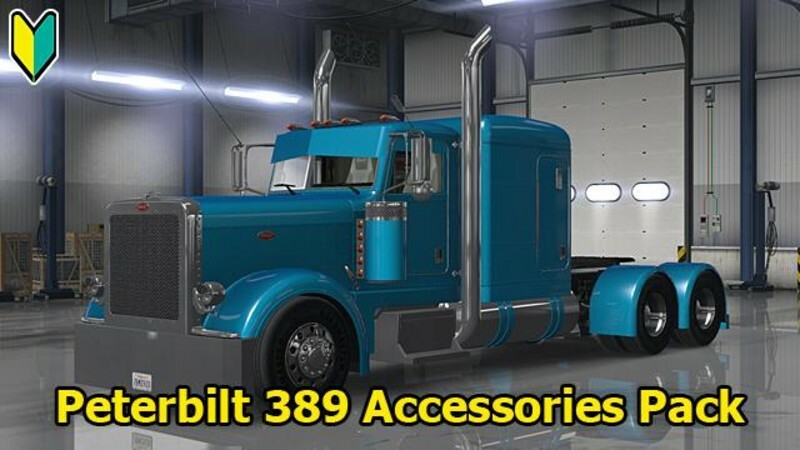 This is an additional accessory mod for Peterbilt 389. 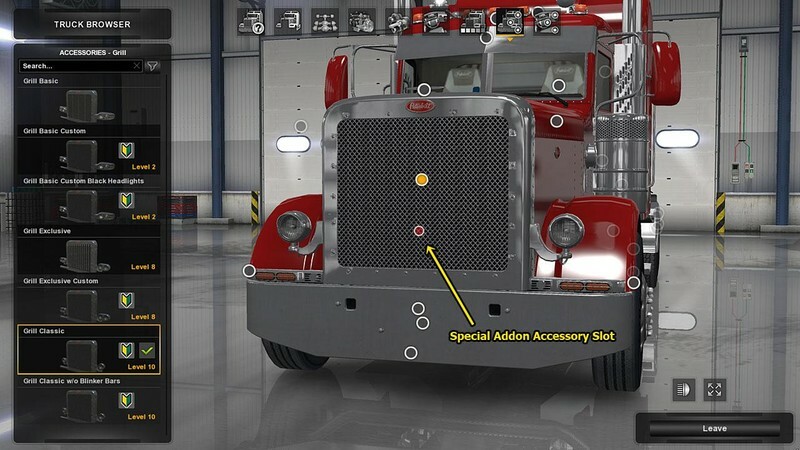 I created various accessories such as bumpers, exhaust pipes, and visors. 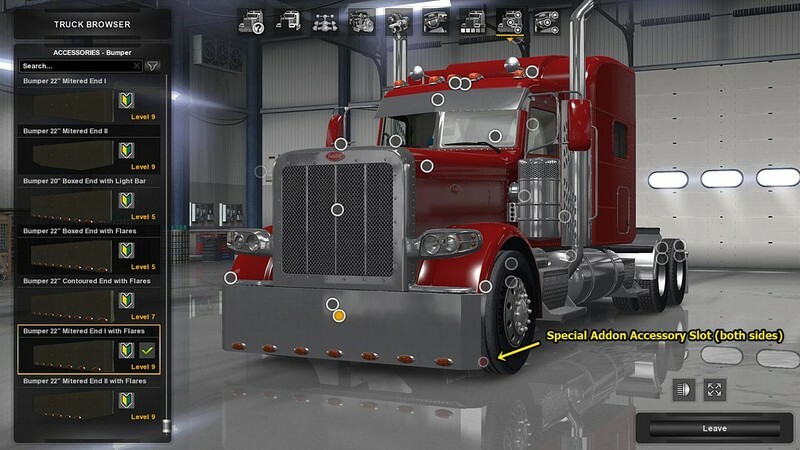 - Added "Low Roof Sleeper [V]" in the cabin category. 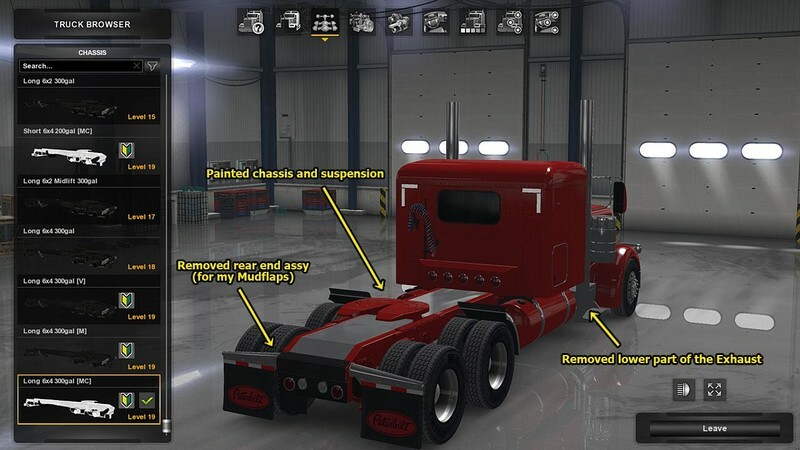 - Added "Stretched Short/Long Chassis" in the chassis category. 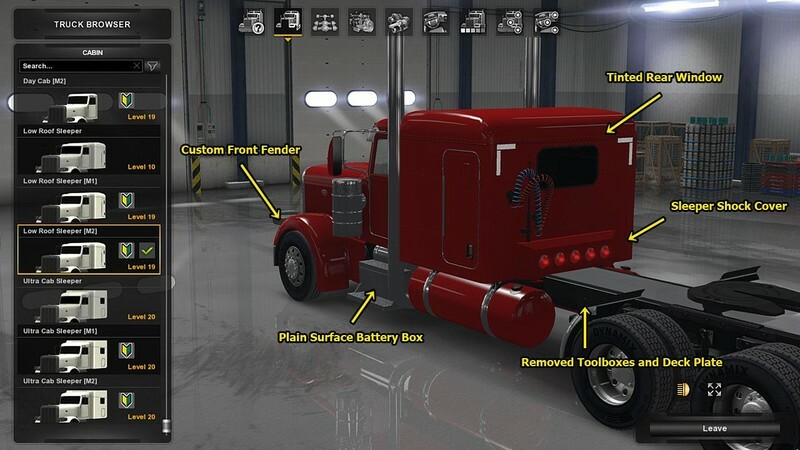 - Updated my custom truck.pmd/pmg file for supporting the trailer cables. 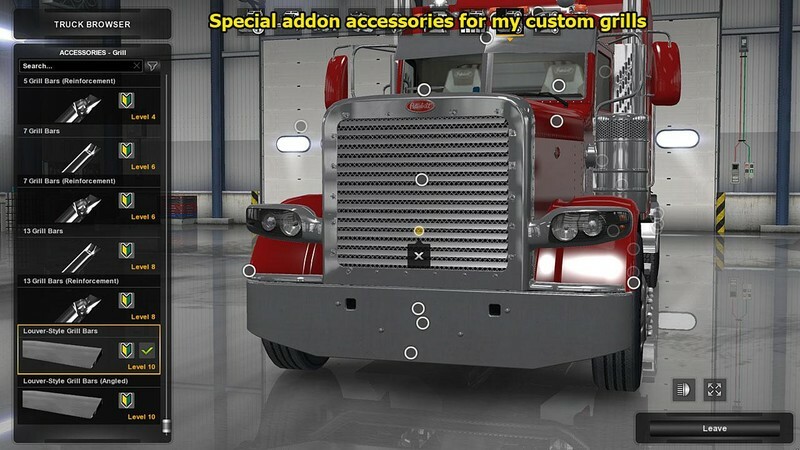 And my custom cabins and chassis. (Some accessories are dedicated to these.